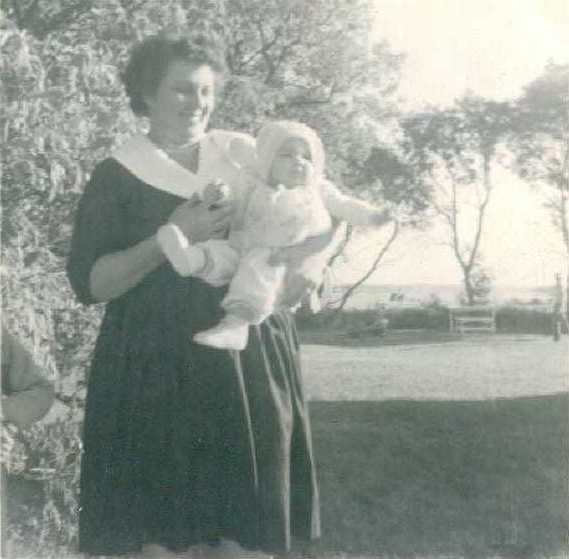 I arrived in this world two months early, weighing in at 4 pounds, 12 ounces, right before my mother turned forty. The doctors said I wouldn’t survive, but thanks to my mother’s nurturing, I did. And as soon as I was old enough, I began what would become a yearly ritual. Look at those feet! And I was only nine months old. One particular Mother’s Day, with money in hand that I’d saved from my allowance, I walked to a nearby nursery. I selected a rose, proudly made the purchase, and toted the flower home, handling it as though it were a fragile piece of glass. Judging by my mother’s response, you would have thought I’d given her an expensive arrangement. Eventually, the gifts did grow more elaborate, but I still got her a single rose for Mother’s Day. As the years passed and Mom grew older, she moved into my home. I found myself doing the same things for her she had once done for me. One night, as I worked in my office, I sensed I should check on her. I made my way downstairs, went to her door, and glanced toward the bottom. A sliver of light shone through from the other side. Why is she up so late? Our embrace over, her eyes filled with tears. “I had a dream, right before you got here, and some man. . .” Her voice trailed off as the tears overflowed and spilled down her cheeks. In that exact same moment, another voice, more like a whisper, came across my mind. Listen to her, Daughter. A hush fell over the room. Her eyes shifted to the ceiling, and I followed her line of vision, halfway expecting to see an angel up there. I observed her arthritic hands, still clinging to mine. My gaze shifted, and I looked at the lines etched on her face—how far we had come together. I love you, Mom, I mouthed. Just when I thought she’d dozed off, her eyelids fluttered. “We have to be ready,” she said. I stayed with her until she fell asleep. After slipping my hand from hers, I brushed a kiss across her cheek, and turned off the light, remembering how many times she’d done the same for me. After returning to my office, I wrote about the event in one of my journals, and then put it away for safekeeping. Mom died this past September, less than two years after her dream. I recently came across the journal. My eyes filled with tears as I scanned the pages, reliving what happened that night with my mother. A few days later, as I stood at the kitchen sink, my husband came home from work. “I have something for you,” he said. I turned around to greet him. He held a single pink rose in his hand. Note: Today's post is part of the CW blog chain. The topic is "Nurture". Please check out my sidebar, further down on the right, to see some great posts by other writers. This is so beautifully written and so poignant. I'm heading tomorrow to visit my 90-year old mother, wondering if this will be the last Mother's Day I get to spend with her. Thank you for such a lovely sharing, Deborah. I know what you mean about your visit. I wondered the same with Mom the past few years. Thanks, E.G. I'm glad you liked it. At least we have those memories, right? What a beautiful and touching post. I have special memories of time spent with my own mother before she passed that will be precious to me for the rest of my life. Thanks so much, Tracy. I'm sorry to hear of your loss, but you're right. Those memories will remain constant the rest of our lives. Thanks for taking the time to stop. Wonderful post Deborah - beautiful memories & beautiful thoughts. Thanks, Bill. I really appreciate your comment. He really was, Mike. I didn't realize just how much until I came across that journal. Deborah, thank you for sharing this wonderful event, what an encouragement and a blessing. Yes, Jesus is coming and we've got to be ready. I find myself lately surprised every morning I wake up to find myself still here, then my next thought,"OK Lord, you've given me one more day to do your will - it's gonna be great!" I also find that journaling more important these days, maybe something for posterity? Peace and Blessings! Thank you for sharing it with me, Terrie. I know what you mean. The signs are everywhere. Makes one wonder how much longer, doesn't it? Good point about the journaling. You just never know. Peace and blessings back at you, girl! Brought tears to my eyes. Thanks for sharing this little bit of your mom with us. Aw, Pegg. I'd be happy to share my tissues with you. Amen to that, Jack. We do have to be ready. I'm glad it touched your heart, Sandi. And yes, I know I'll see her again. What a wonderful Mother's day remembrance! As children being nurtured,we were never told that one day that kindness would be reversed as we would have to care for our parents. Isn't that the truth, Christine? I've heard many say they'd never do that for their parents. It blows my mind. I don't see how they couldn't. Beautiful story, Deborah. I'm tearing up after reading it. 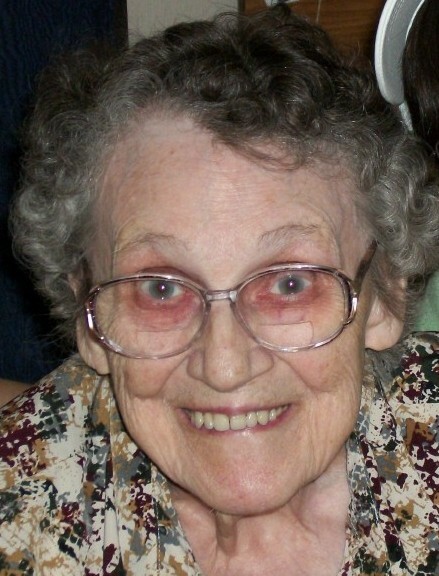 We lost my grandmother almost a month ago. She had a heart attack and seemed to recover from it, but then went downhill and passed three weeks later. I heard from one of my aunts right before Grandma died that she had been praying, asking God's forgiveness and crying out to Him to come get her. Much as I miss her presence here, I know I'll see her again before long. Your mother's comments about being ready reminded me of that. Wow, Traci. I'm so sorry for your loss. Even though you know where she is, you'll still grieve for her. Thanks for stopping, and thanks for sharing about your grandmother. Yep, tears here too... thanks for sharing this wonderful story!! Thanks, Chris. And thanks for sharing it with me. What a touching story Deborah. Thank you for sharing it. Isn't it interesting how families come full-circle like that.I have seen this happen with my grandparents, as my parents began offering care to them to various degrees. Thank you, Adam. It is interesting how this happens. When you stop to think about it, everything seems to eventually come full circle.